On May 6, 2017 CVC held its Inaugural Picnic Ride & Benefit. 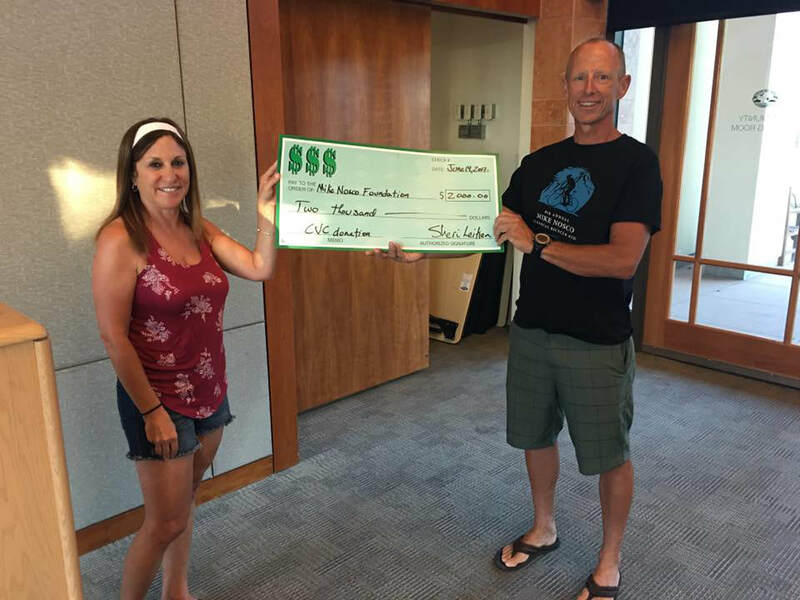 CVC members chose the Michael P. Nosco Foundation and the Conejo Open Space Foundation as the 2017 recipients of the proceeds from the CVC Picnic Ride & Benefit. We met our inaugural year goals because club members made it happen. Thanks to all the members who signed up for and participated on the ride as cyclists, volunteers or both! On behalf of CVC members, club president Sheri Leiken presents the Nosco Foundation's president Jack Nosco with a $2,000 donation. 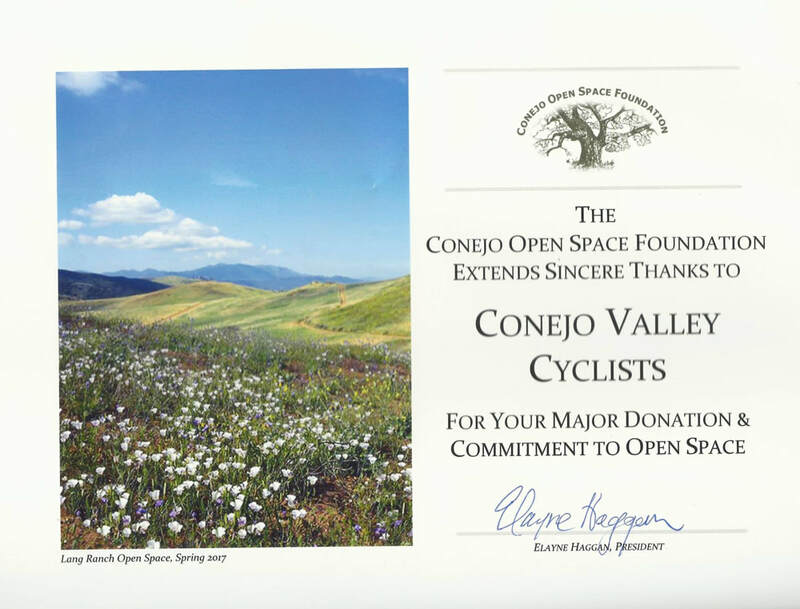 Certificate from the Conejo Open Space Foundation thanking CVC members for their donation.